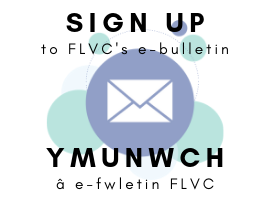 We want to know what you think about FLVC, our activities and services, and the way we deliver them. Your feedback is very important to us as it helps us to improve so that we can serve you better. We welcome your views on how we can improve our services. We work to deliver high quality services. Despite our best intentions and hard work, things can go wrong from time to time. When this happens you may want to make a complaint. We aim to treat everyone equally and fairly and have an equal opportunities policy to ensure that this is the case including age, disability, race, culture, nationality and sexuality. You can ask for your complaint to be anonymous and we will respect that. However, for formal complaints anonymity cannot be guaranteed. We try to deal with all complaints in confidence, but there may be times when this is not possible. In these circumstances we will discuss this with you. We know that making a complaint takes up your time and can be a little daunting so we treat every complaint seriously and think of them as an opportunity to improve our services. The policies and / or procedures of FLVC. Note: In order that a complaint can be fully and fairly investigated, a complaint must be specific, current/very recent and contain at least some ‘prima facie’ evidence. CAN SOMEONE HELP ME TO MAKE MY COMPLAINT? If they have your permission, anyone can make a complaint on your behalf. If you want to make your complaint yourself, anyone you think might be useful can come to meetings with you or give you any other support you need. Children and young people have the right to make a complaint on their own or with the help of a friend, relative or any other person who speaks on their behalf. If possible, please speak directly to the member of staff concerned. If they are unavailable you should arrange a time to phone again or visit in person. If it is a relatively minor complaint the first contact should be with the staff member responsible for the direct delivery of the service. This approach seeks to encourage speedy resolution and to avoid ongoing, or escalating, conflict. Please talk to us about what has happened and your feelings about it. Our first priority is to listen to what you have to say, clarify the facts of the situation and understand your concern. At this stage we will either be able to give our feedback, outlining the reasons for any action taken, or we may have to collect further information before responding. If we are unable to respond immediately we will discuss with you how and when we will get in touch. We will make a point of the issues discussed as a basis for action to improve our services. 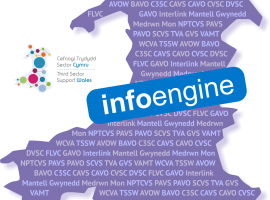 We will only note your name and personal details if you wish us to do so in order that we may contact you with information about service improvements. If you remain dissatisfied with the way we have handled the complaint you may wish to make a formal written complaint. If you feel that the nature of your complaint warrants formal investigation or if you feel unable to raise the matter directly with a member of staff you can write to the Chief Officer of FLVC. However, if your complaint concerns the Chief Officer you can write to the Chair of Trustees. Any Complaints regarding the Chair of Trustees need to be addressed to the Board. The Chief Officer or, where relevant, the Chair of Trustees or Board will attend to the complaint within 2 working days. An investigation into your complaint will be made and you will receive a reply in writing. If you are dissatisfied with the response of the Chief Officer then you may write to the Chair or Vice Chair of the Trustees, whose decision will be final. Details of your formal complaint will be kept for one year and then destroyed unless you request otherwise. Please contact the person who directly delivers or coordinates the services/activity or if you are unsure please contact the Chief Officer. 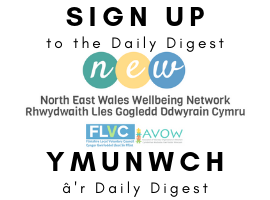 Write to us at: FLVC, Corlan, Unit 3, Mold Business Park, Wrexham Road, CH7 1XP.